Please welcome Stephen G. Eoannou, author of the short story collection Muscle Cars, to the blog today. 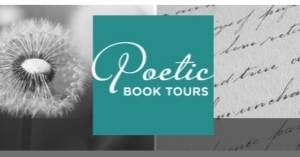 He and his book have been on a blog tour with Poetic Book Tours this month, and what a great way to cap off the tour with an interview. In Muscle Cars is there one short story that you ever thought could be turned into a novel on its own? If so, which one and why? Actually, “Slip Kid”, which really is the centerpiece of the collection, started out as a failed novel attempt. I had shoved the manuscript in a drawer, but I didn’t forget about it. I was certain there was a story there. I just had to dig through all the bad writing to get to it. I pulled the manuscript out as I was completing the collection to see if I could distill a part of it into a short story, and I did; I think “Slip Kid” was the second last story I wrote for the Muscle Cars. The mistake I made in the novel was twofold. First, there wasn’t enough at stake for the protagonist. I needed more conflict. I needed to make the situation more difficult for him with real consequences. Second, I wasn’t pleased with the novel’s language. It needed to be tougher, harder, full of more slang and vulgarity. This was an easy fix. I just had to write the dialogue more the way my friends and I spoke in high school. I was pleased with the short story version of “Slip Kid”, but the story kept calling me back so I developed it into a short screenplay, which ended up winning the Best Short Screenplay Award at the 36th Starz Denver Film Festival. I thought I was finally done with it, but then I started thinking about developing it into feature-length screenplay. After I try that, who knows? I may go full circle and take another shot at expanding back it into another, better novel. Could you explain a little bit about the process of entering the SFWP Literary Awards and what other contests you considered for your collection? Why enter a contest of this kind at all? Writing contests are tricky things. There’s so many of them now and the entry fees can add up, so I was very selective of which ones I entered. I only entered contests where the awards were well-established and the judges were well known and well respected. That was certainly the case with SFWP, which is offering the awards for the fifteenth year now and have had past judges such as Chris Offutt, Robert Olen Butler, and David Morrell, who judged last year’s contest. But I had another connection with SFWP that made me want to enter. At one time I shared an office and taught with Ken Cook at The College of Charleston, and he won the SFWP Awards back in 2002. I remember him telling me what a great experience it was and how it really jump-started his writing career. After I had finished Muscle Cars, I knew that SFWP was one of the contests I wanted to enter based on what he’d told me. Of course, I didn’t really think I would be named one of the winners. That was a wonderful surprise. I was very proud to have Kenny write a blurb for my book. It brought things full circle for us: we both met as unpublished and hopeful writers in Charleston and we both had our first books published by SFWP as award winners. If you had never gone to Queens University for an MFA, do you think you would have continued writing fiction or produced a collection of short stories? What did the experience do for your writing practice? I had been writing for years in a vacuum with little success. I viewed applying to an MFA program as my last chance, my last swing at being a writer. I was more than a little surprised when I was accepted at Queens, to be honest with you. During my first residency, I went to the graduate readings and all the MFA graduates said that the program had been life changing. I remember sitting in the back of the auditorium and thinking no way is this program going to change my life, but it did. If I hadn’t gone to Queens, I still would’ve been writing but probably writing poorly. I would have been still stuck in that vacuum without a network of fellow writers to share work like I have now with my Queens alumni. Would I have written a collection without going to Queens? Maybe, but I suspect it wouldn’t have been as good as Muscle Cars. The collection contains two Pushcart-nominated stories, a winner of an Honor Certificate from The Society of Children’s Book Writers and Illustrators, and the collection is a Santa Fe Writers Project Literary Award winner. I couldn’t have done it without the MFA program at Queens; half the stories were written there and the other half was critiqued by Queens alumni after I graduated. Many writers have been writing since a young age. What was your first piece about and what was the title? Do you still have it? I vaguely remember being home sick from school and typing with two fingers a story about a doctor. This was maybe in the second or third grade. I don’t remember the title, but I had named my main character Dr. Weinstein after a local newscaster whose trademark was alliteration: Buffalo blaze busters battle a big one on Broadway. I wrote a lot in the fifth and sixth grade and I gave those stories to my Aunt Helen. When she passed away, I found three of them: “The Falcon”, about a boy growing up on an Indian reservation; “What’s A Few Months More?” about a teenager in a juvenile detention center; and “The Summer of Riches” about a boy who spends the summer with his grandparents in Connecticut. Of course, I knew nothing in the fifth grade about life on a reservation, or in a juvenile detention center, or in Connecticut, but that didn’t stop me. Kids are fearless with their imaginations. By the way, I still type with two fingers. That typing class I took at Kenmore Junior High School didn’t stick. Who are some of your influences that have informed your writing over the years? And who, if any, are your favorite poets? When I finished reading The Hotel New Hampshire by John Irving, I remember wishing that I had written it. This was back in high school and it was the first time I remember feeling that way about a book. I loved how Irving was able to make me laugh out loud until I realized how sad it was and then my laughter stopped, like I had been slapped and slapped hard. I wanted to have that emotional swing in my writing, and was conscious of attempting that while writing stories for the collection like “Swimming Naked” and “Stealing Ted Williams’ Head”. Soon after discovering Irving, I started reading William Kennedy. I loved his sense of place and how he made Albany come alive as a mythical place. I definitely wanted that in my writing. It was that same sense of place that drew me to Pete Hamill’s work. When I started writing Muscle Cars, it was in the back of my mind that I wanted to do for Buffalo what those guys did for Albany and New York. Buffalo was my turf and I wanted to mine it for stories and characters. Even in stories where the city is never identified, I was thinking about my home town. People from around here will recognize the settings of “Ohio Street” and “The Wolf Boy of Forest Lawn” as Buffalo locations although I don’t think I named them as such. The city was definitely my muse for Muscle Cars. The poetry question is interesting. I think reading poetry and becoming sensitive to rhythms, the music of words and conciseness always helps in prose writing, but I doubt the converse is true. I’ve always enjoyed Yusef Komunyakaa’s work. What’s interesting is that I heard him read his poetry before I read it. This was in the late-eighties at a writing conference at Indiana University, I think. He is such a passionate, dramatic reader it was as if I was hearing poetry for the first time and I had to buy his books. I was mesmerized by his voice and the images he was creating in my mind. And even though I had no talent in writing poetry, I wanted my readers to “hear” and “see” my stories just as strongly as when they read and heard Komunyakaa’s poems. I tried to accomplish that by relying heavily on sensory detail. I want my readers to see “The Girl In The Window” and hear the engines in “Muscle Cars”, “Ohio Street”, and “Slip Kid”. I want them to feel the cold and whipping wind in “Winter Night, 1994” and “Auld Lang Syne”. If I accomplish that, I’ll have done my job. Thanks, Stephen, for sharing your writing inspirations and influences with us today!